Editor’s Note: Jim Brown, David Cole, Dave Lime, Steve McCool, George Stankey, and Alan Watson contributed to this article. In 1967, a young geographer, Bob Lucas, moved to Missoula, Montana, to serve as the first project leader for the new Wilderness Management Research Unit for Forest Service Research. After the Wilderness Act passed in 1964, the US Forest Service was responsible for providing the science needed to help managers make decisions about protecting these places for their wilderness character. Bob was the guy to take on that challenge. Bob was a PhD student at the University of Minnesota in the late 1950s when he was approached about taking a position with the research arm of the US Forest Service. The position focused on creating a better understanding of visitor use patterns in national forests. Bob’s major advisor was geographer John Borchert, who had broad interests in spatial distribution of human behavior and development, and he most likely played a key role in Bob’s growing interests. Bob and his wife, Grace, were outdoor enthusiasts and were attracted to the northern Minnesota canoe country where they had spent a lot of time. And so it was quite natural, given increasing visitor use there, that his first projects involved research on visitorsin what is now known as the Boundary Waters Canoe Area Wilderness. Bob’s initial work focused on visitor use, conflict, and experiences, leading to two publications in 1964 (Lucas 1964a, 1964b) that have been so frequently cited that wilderness social scientists know their content when they see them cited in an article. Moreover, the key insights of this research, more than 50 years later, still influence wilderness science and visitor use research. The sources of many research advances in wilderness visitor experiences can ultimately be traced to those two classic 1964 research papers. When Bob arrived in Missoula, he was already recognized as an accomplished social scientist. And while his work took an initial turn in that direction, he had always recognized that understanding wilderness required complementary biophysical sciences, an action initiated in his work in Minnesota and eventually continued in Montana. 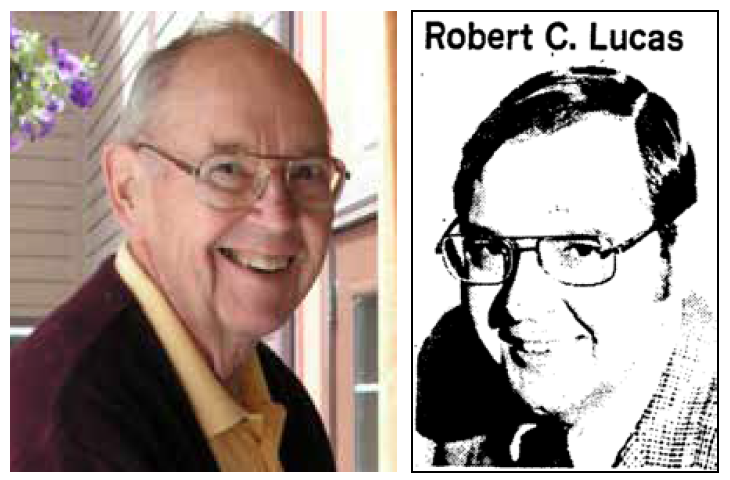 Bob worked for years with several key scientists, beginning with Dave Lime joining his project in 1967 while in Minnesota and continuing with George Stankey in 1969. This team of scientists stimulated and collaborated with academics and graduate students and provided the excitement, energy, and foundation for the new field of social science wilderness research. Those of us enthusiastic about wilderness in the 1970s and 1980s read everything Bob, George, and John Hendee wrote, including the first Wilderness Management textbook in 1978. One scientist recently compared meeting Bob at a wilderness training session to “meeting a rock star.” They were our inspiration. They were our mentors. The project entered its second generation in the late 1980s as David Cole and Alan Watson joined the Wilderness Management Unit, while George moved on to new challenges and Bob prepared for retirement. Bob retired in 1989 to a life that included more time with his lifelong companion, Grace, who passed in 2014, and time for more hunting and for his children and grandchildren. Bob loved participating in outdoor activities and adventures with his family and friends, especially hunting birds and big game. He was forever optimistic about successfully pursuing his passion for hunting. As years went by, he increasingly enjoyed hunting upland birds and training his Labrador retrievers and German shorthaired pointers. The camaraderie he shared with his hunting partners, including conversations about every conceivable topic, was a great source of pleasure to Bob. He was an active member of sportsman organizations and became a leader and spokesperson for efforts toincrease hunting opportunities and develop programs to enhance upland bird habitat. He often lobbied Montana Fish, Wildlife, and Parks and at Montana’s state legislative hearings to promote these interests. In 1986, he was instrumental in forming the Big Sky Upland Bird Association, an organization dedicated to advancing the conservation, development, and management of habitat for all of Montana’s upland birds. In 1990, Montana’s governor appointed Bob to the Tribal-State advisory board, where he served for 12 years in bettering relations between Native tribes and Montana’s hunters and anglers. In recognition of his leadership, Bob received the Holmquist Sportsmen’s Achievement Award in 2012 from the Montana Wildlife Federation. Sadly, Bob passed away in Missoula, Montana, on February 21, 2016. He enjoyed a monumental 30-year career with the US Forest Service, which came to a close six whole years before the first issue of the International Journal of Wilderness. He never published a paper in IJW, but Bob’s work has been referenced hundreds of times there. The research Bob conducted and stimulated, the team he developed in partnership with George Stankey and frequently Dave Lime, and his way of inspiring young scientists broke new ground in a research discipline that only began in earnest in the 1960s. They and their colleagues in US Forest Service research, universities, and management held a keen understanding of how humans interacted with the land, the water, the wildlife, and the other natural elements of wilderness. They set the direction for wilderness research as it expanded to Alaska, as it began to look for commonalities and differences between eastern and western areas and their visitors, as it began to include science to support restoration of fire in wilderness, and as it expanded from an American ideal to one of international interest. And, they set a pattern for addressing problems, working directly with managers to help frame and solve problems, a model that holds lessons for research applications. The Wilderness Management Research Unit transitioned to become the interagency (Departments of Agriculture and Interior), interdisciplinary, and international Aldo Leopold Wilderness Research Institute. Bob occasionally visited the Leopold Institute after retirement, and on one trip he observed, “You know, when we first started there were only a couple of us and we focused on a small number of questions we thought we could answer in a few years. You folks are now asking questions we hadn’t even thought of back then.” Bob taught us how to ask questions. And maybe more importantly he taught us how to conduct science of the highest integrity, how to argue scientific points in a courteous but confident manner, and he often commented that he was known for being a good judge of character. Being his friend, receiving funds from the Wilderness Management Unit, being hired by him, or just being lucky enough to hear him make a presentation made you happy that he must have judged your character positive enough to spend some time with you. To many, Bob was a colleague, a mentor, and a friend. He inspired us all to seek new pathways to understanding the value of wilderness and how to sustain it. Bob had a great sense of humor, and it was fun being with him during work assignments. For Bob Lucas, wilderness science involved three dimensions: science about wilderness, science in wilderness, and science for wilderness. Bob’s career exemplified all three dimensions. His spirit will live long with us. Both personally and professionally, Bob’s life was a life well-lived. We were honored to have known him, and if you didn’t know him, you should now understand the importance of this founding father of wilderness science to what you are doing today. Lucas, Robert C. 1964a. The recreational use of the Quetico-Superior area. Research Paper LS-8. St. Paul, MN: US Department of Agriculture, Forest Service, Lake States Forest Experiment Station. ———. 1964b. The recreational capacity of the Quetico-Superior area. Research Paper LS-15. St. Paul, MN: US Department of Agriculture, Forest Service, Lake States Forest Experiment Station.